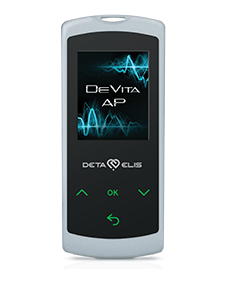 The DEVITA COSMO is on of the frontline products of the DETA ELIS company and is one of the best sellers – it is an antiaging as well as a cosmetology device. 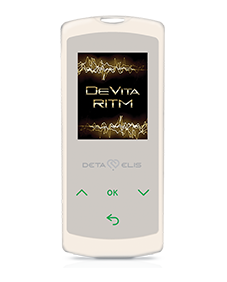 The DETA company is now offering an incredible 21% discount on the DEVITA COSMO – from the 699 Euros price, NOW only 553 Euros! This is a saving of 146 Euros! Take advantage of this offer – the offer closes on 31st DECEMBER 2018! 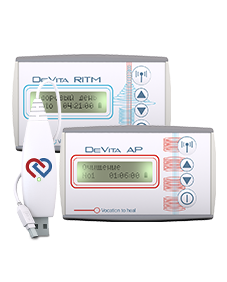 REVOLUTIONARY DEVITA COSMO 20 is the new generation anti-ageing device that was released in June 2004 and contains 20 pre-installed programmes. The older version DETA COSMO had 15 programmes and was the first device of the company Deta Elis that was designed to deal with cosmetology and anti-ageing. 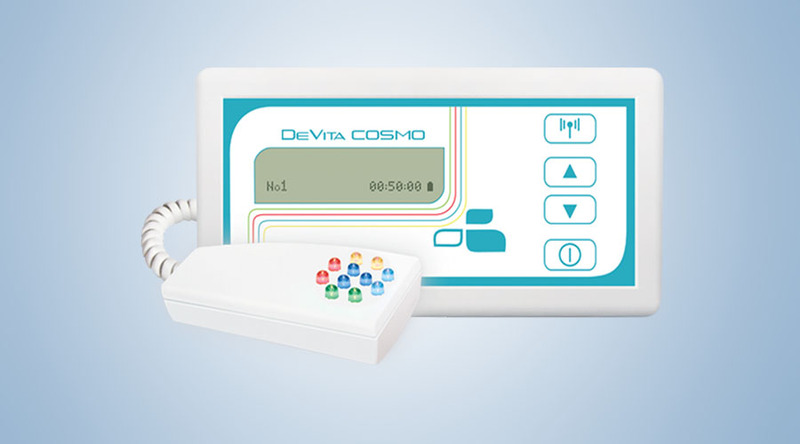 However, not only does the DEVITA COSMO heal the skin and iron out wrinkles, but it is considered as a sophisticated anti-ageing device. 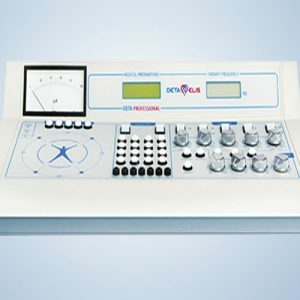 PROGRAMME 1 – SKIN WRINKLES – this programme helps to eliminate wrinkles – you simply follow the lines of the face using the Quantum light, as indicated below – these correspond to the lines of the muscle layers of the face. 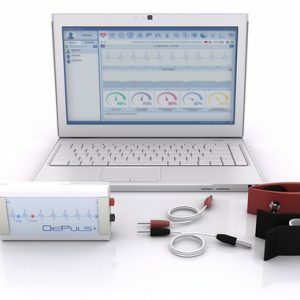 The device itself can be placed on any part of the body, but the chest or abdomen is fine, with the screen facing upwards as the antenna is at the back of the device. The body will also be getting the benefit of the electromagnetic waves emanating from the device, concomitantly with the Quantum light working on the face. PROGRAMME 2 – FACIAL TONUS – this programme helps to eliminate tiredness and facilitates in skin relaxation; it also stimulates, revives, and slows down the natural ageing process, while improving the metabolism. METHOD OF USE – Place the device two fingers above from the navel in the area of the solar plexus. Use the quantum light on the areas of the skin illustrated in the diagram below – the upper lip area and the areas adjacent to the chin. Use slow circular movements, moving clockwise. The patient should feel a slight warmth or tingling on the skin that is not uncomfortable. 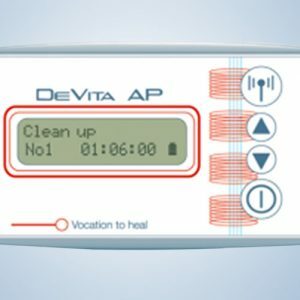 Use the programme once weekly for prevention and daily if required for treating hormonal imbalances it can be used any time of the day. Avoid using during pregnancy. METHOD OF USE – Place the device at the point of the solar plexus, two fingers above the navel. Use the Quantum light on the areas of the skin just below the lower lip as illustrated below. Use, slow clockwise circular movements on both sides of the face.For prevention use the program once a week, but for treating hormonal imbalances in men the programme can be used daily at any time of the day. Beautiful smooth complexion and glowing skin without pimples and acne is the main goal of every woman. Beautiful legs are rarely a gift of nature, they require constant attention and care. Also maintaining healthy feet means si important as we use them so often during the day. This programme will help to normalize blood circulation on the legs, helping with weariness and any swelling. Place the antenna device at a distance of 20 cm from the treated foot. Using the Quantum light, make linear slow movements from the tips of the toes up to the ankle-joint. Do both front and back sides of both feet. Repeat the cycle till the programme ends. 40. Dark circles or sacs under the eyes are usually an indication of food intolerance’s, poor kidney or bladder problems.